I viewed a pamphlet about Milk Matters one day and I thought to myself, "Wow can people actually do something like that?" I thought to myself I have more than enough milk for my daughter so I might as well spare some for those small little angels. When a woman breastfeeds she is so efficient in energy use and nutrient uptake that her bone density increases, hence women who have breastfed have less risk of osteoporosis. 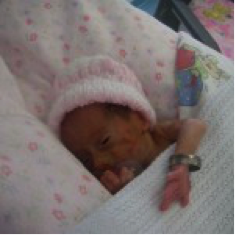 Remember that your small effort can make a huge difference in the lives of babies that struggle for survival. I have no doubt that donor milk saves premature babies' lives and helps prevent HIV infection. The Lancet said, "1.4 million child deaths could be averted each year if babies were breast-fed properly. That’s one child dying unnecessarily every 22 seconds."